Michael Kalen is a senior executive with a track record of growth and profitability. He has led large life insurance, annuity and wealth management companies while also becoming a leader in InsurTech and FinTech innovation. Mr. Kalen is currently the CEO of Covr Financial Technologies, a provider of digital life insurance solutions for financial institutions, banks and other financial partners. Mr. Kalen began his career spending more than 20 years at Prudential Financial rising to the level of Senior Vice President. Mr. Kalen then joined Hartford Life where he was President of US Individual Life operations, the 9th largest individual life business in the US. With over $1.0 billion in revenues and 1400 employees. He was then President and CEO of Hartford Life Europe and was an Executive Vice President in Strategic Planning where he co-led restructuring, expense reduction, M&A and capital management efforts throughout the financial crisis of 2008/09. 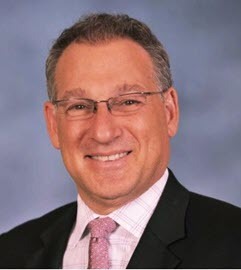 Prior to joining Covr Financial, he was President & CEO of Futurity First Financial Corp. (FFFC), a portfolio company of Aquiline Capital Partners, that is a national distribution network providing retirement solutions, annuities and life insurance to financial professionals with $2.5 billion in annual sales. Current Board of Director positions include Phoenix Life Insurance Company. Mr. Kalen holds an MBA in Finance from Columbia University and a BS in Business Administration from the University of Delaware. In his role as an Insurance & Financial Services Industry Advisor to Star Mountain, Mr. Kalen provides knowledge and insights across a variety of distribution, underwriting and technology trends within the insurance and financial services industries. Mr. Kalen assists the team with research/analysis and assists its portfolio companies in maximizing their value.